Porsche builds performance cars, and every Porsche owner is interested in performance. Lüfteknic can provide you with the right recommendations for your specific needs, desires and goals for your car. For further information on advanced track preparation and racing services from Lüfteknic please also visit our motorsport page. We have an extensive racing and motorsport background, and development history from the start of the modern water-cooled era of Porsche racing cars, starting with the 996 GT3R at the 2000 Daytona 24, and we are a Porsche GT3 specialist. Porsche performance is all about suspension tuning and car control. From your tires up to the steering wheel, a properly set-up car makes all the difference in your performance, but more importantly, your enjoyment of your Porsche driving experience. At Lüfteknic we can provide guidance for all Porsche drivers, from first-time owners to experienced veterans. Starting with wheel and tire packages, and including suspension system upgrades for springs and dampers, sway bars, adjustable motorsport control arms, bushings, drop-links, bump-steer correction kits and more, we sell and install what we use on our personal vehicles and are proven to perform. 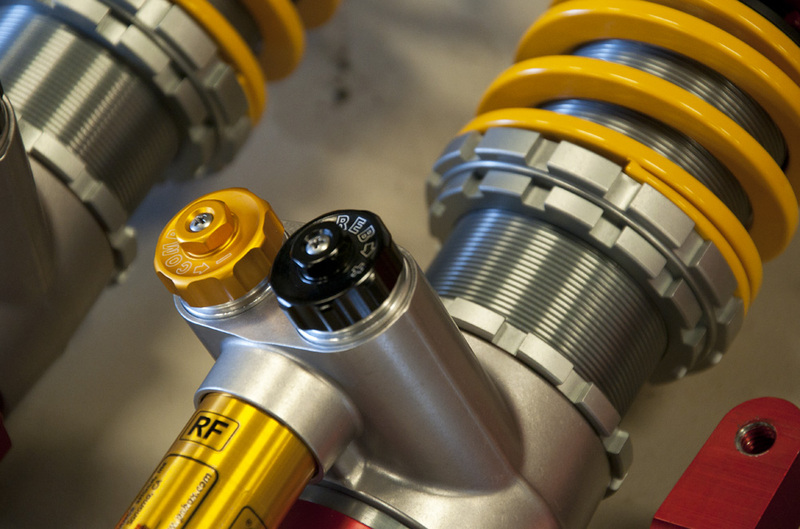 Brands include KW, Bilstein, Koni, Ohlins, H&R, Tarett Engineering, Rennline and Genuine Porsche parts. Full 934/935 style suspension conversions are available, and represent the ultimate in performance and handling on the earlier 911 cars. We also offer complete chassis set up and vehicle alignment services for street or track use, which is the final piece of the puzzle on a well-sorted Porsche. Rebuilds and upgrades for better performance and improved reliability of all air-cooled and Mezger-based water-cooled 911 engines are done in-house at Lüfteknic. 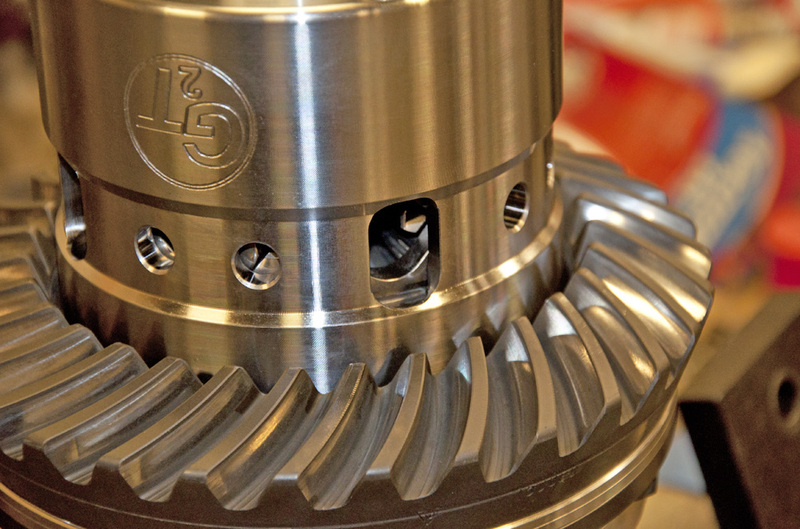 We offer a variety of options depending on customer need, including balanced and blueprinted factory or upgraded engine internal parts, reassembled to OE or better specifications with improved hardware and other key items for improved reliability and durability. We are a GIAC tuning dealer, and offer in-house software upgrades on both naturally aspirated and turbocharged 996, 986, 997, 991 and newest Porsche models. We’ve found GIAC to offer not only strong power gains, but unparalleled throttle response and drivability, key items sometimes overlooked by lesser tuners. Additionally we sell and install intake and exhaust parts from IPD, AWE Tuning, Fabspeed, SSI, Tubi Style and others. For more on GIAC and software tuning at Lüfteknic, please see our GIAC Tuning section. On older Porsches Lüfteknic has the experience and know-how to service, tune and maintain carbureted 911, 912, 914 and 356 models, Bosch CIS mechanical fuel injected 911 and 930 / 964 turbo models, as well as Bosch Motronic systems as used on Carrera 3.2, 964 and 993 air-cooled cars. 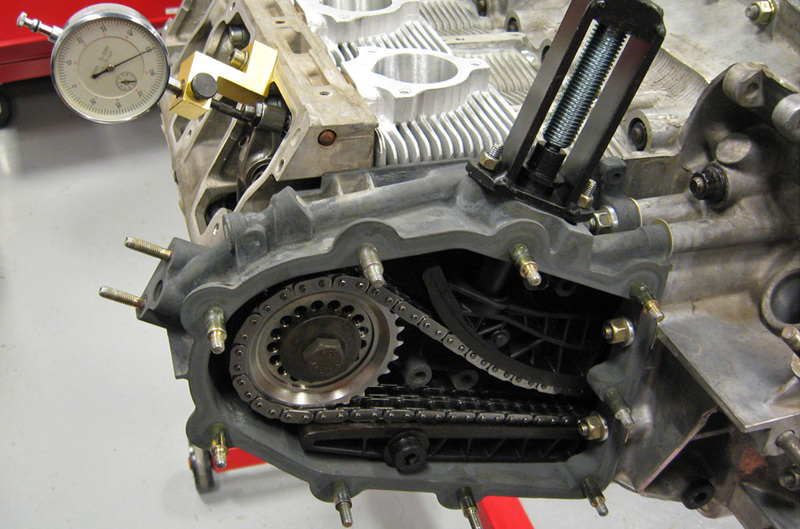 Often overlooked or under-serviced as compared to the other more visible or more easily catered-to components, a properly functioning transmission can be the difference between an exceptionally frustrating or a very rewarding driving experience. Proper gear lube, refurbished linkages, upgraded RS-based clutch kits, reduced-throw shift levers and solid mounts are all options to improve your Porsche. Additionally, we sell and install Guard limited slip differentials for street and track. Guard makes the best quality and most durable differentials for Porsche and they can withstand use and abuse well beyond the factory parts. Proper brakes are probably the single most important component in having confidence in your car on track. 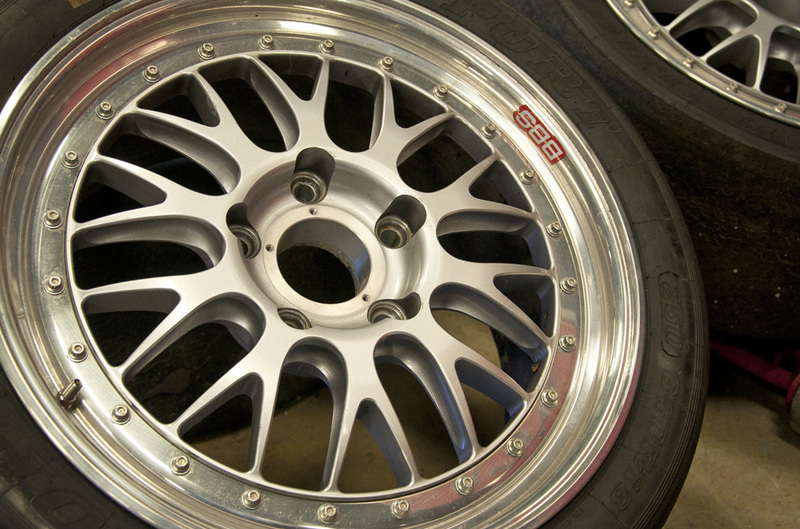 Porsche street car brakes are typically derived from their racing programs, and just as the 930 used parts from the mighty 917 race car, on many modern Porsche cars the same calipers are used on race and street cars. The difference in performance is in the brake pads. Lüfteknic offers Pagid, Carbotech and other performance pad options for street or track use. Beyond a brake pad change, larger brakes from later cars can be adapted to the older cars and can work well in certain instances. For heavy duty use there are aftermarket brake kits available with larger diameter / thicker rotors, better calipers, and pads that will work for your car either on the street or track. Lüfteknic is an authorized Brembo dealer and installer. For those people planning upgrades to their car, we recommend that brakes are the first thing on the list, and make no compromise. Safety first. Perhaps one of the most overlooked items for any performance oriented vehicle owner is proper seating. More power, a bigger wing and bigger brakes? How about a seat? With more power, the ability to get it to the ground the and other upgrades complete, one of the last things drivers think about is their seat, but it should be one of the first. Proper seating is a must, and allows you as the driver to concentrate on driving, not trying to keep yourself in place. Most do not even realize the they energy and focus wasted on this, but nearly all can tell the difference once they have gotten the proper gear installed in their car. Aside from seating options from Recaro, Racetech, OMP and others, Lüfteknic also sells and installs proper 5 and 6-point safety harnesses, harness bars and offers custom half and full cage fabrication and installation. With our experience we can help you make the proper choice for your car and its intended use. 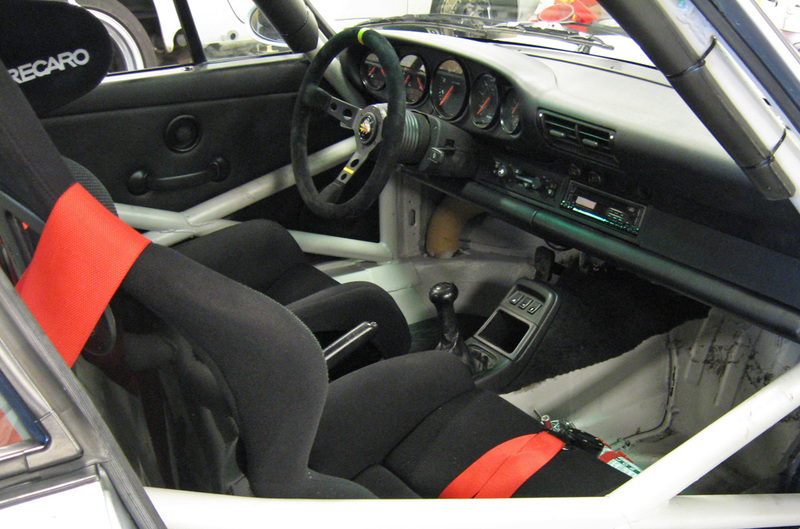 Since the beginning, street going Porsches have benefited from the motorsport programs of their respective models. Just as the early RSRs donated ducktails and whale-tails to the RS and 930 models, the later 911s have benefited directly from “Cup” and RSR variant developments in aerodynamic splitters, spoilers, side skirts and rear wings. As 911s have gotten faster and more capable, the need for improve aerodynamics and stability at high speeds has become paramount. 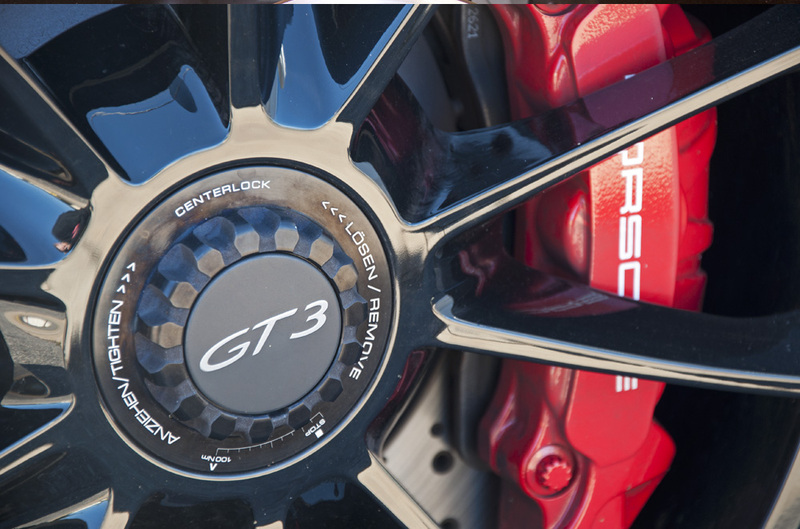 Standard 911s can be upgraded to GT3 specifications, while the GT2, GT3 and Turbo models can be upgraded to Cup levels or beyond. Lüfteknic can put together and install aero packages based on both the use, and the look that our customers want to achieve. We work directly with top-line composite manufacturers such as Crawford Composites and offer OEM Porsche updates for most models. The clichéd but simple fact about the physics involved of driving any car, is that everything you do with it has to go through the tires and to the ground. Simply put, a few extra dollars for better rubber, mounted and balanced on quality wheels, can make all the difference in your Porsche driving experience. Lüfteknic has the experience to recommend, sell and install the best tires for your Porsche no matter your intended use. Our Beissbarth MS 66 IT is their top of the line, fully automatic tire changer featuring a hydraulic double-roller auxiliary arm for mounting and removal of low-profile and run-flat tires, an extra large clamping table which can be adjusted hydraulically, and an adjustable column. It has the ability to change multi-piece wheels, reverse mount and large modern forged castings alike. The Beissbarth wheel balancer has high speed capabilities and allows for very fine balancing beyond what most domestic machines will accommodate. All the more important for a Porsche. Additionally, we offer wheel options from the best in the business, so whether you are looking for a dedicated set of summer wheels or just something a little different than factory, Lüfteknic has options from Forgeline, BBS, O.Z. Racing, Fifteen52 and others. We are a Tire Rack recommended installer. More info. We offer track inspection services for all manner of HPDE and club racing events. For those who do most work themselves, a thorough look over of your car by fresh eyes can often yield some findings that you may not be aware of. Safety is paramount in high speed driving, and making sure that your car is in top condition and has the properly installed safety equipment is a must. 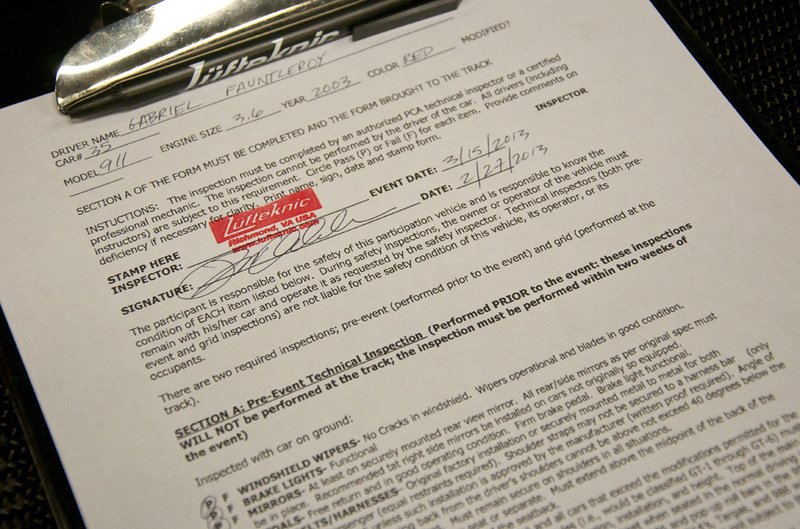 We will guide you through the inspection and make sure that you and your vehicle are safe for the event. Typically inspections need to be done within 2-3 weeks of the event in which you are participating. Please call to schedule an appointment. Please view our motorsport page for further information and options on club, pro and vintage racing services.